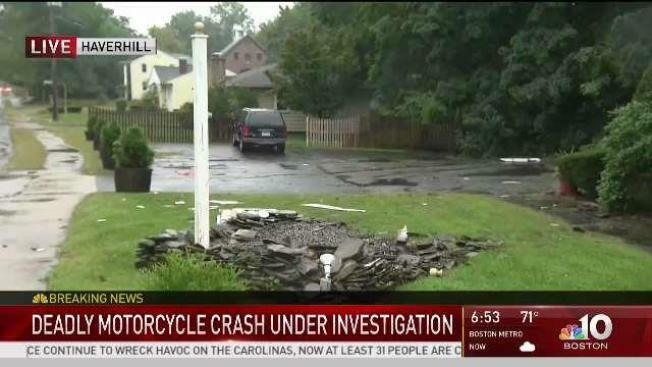 A motorcyclist died early Tuesday after he crashed into a fence in Haverhill, Massachusetts. The fatal incident happened at about 1 a.m. in the area of 1038 Main St. The victim, Stephen Merritt, 28, of Haverhill, was pronounced dead at the scene, according to the Essex County District Attorney's office. Along with Haverhill Police, Massachusetts State Police are investigating the exact cause of the crash.